Our updated testing technique for Socket A coolers is given in the GlacialTech Igloo 2310 and Igloo 2400 Coolers Review (the general issues and the original version of the testing technique can be found in the article Coolers Comparative Testing Technique). The procedure hasn't changed considerably since that time. 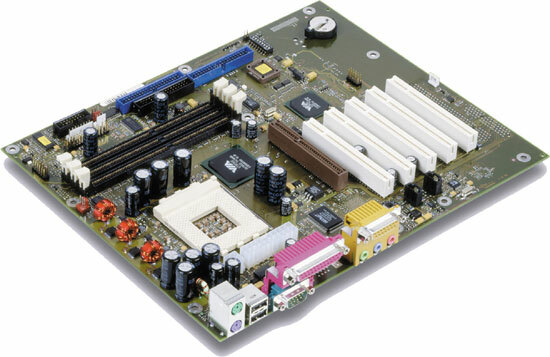 The testbed is traditionally based on the Fujitsu Siemens Computers D1289 mainboard. This board features the temperature monitoring system based on Philips Semiconductors NE1617A chip. The chip is located very close to the socket and minimizes various distortions making the measurements very precise. Thermal resistance θja can be found from the following equation: θja = (Tj - Ta)/Ph, where Tj is core temperature, Ta is ambient temperature (here it is 33°C), Ph is processor thermal power (here it is 48 W). Now we move to our Table of Ranks, the complex estimation of coolers consumer qualities.